Thousands is the name of Seattle duo Kristian Garrard and Luke Bergman whose beguiling debut album, “The Sound Of Everything”, is one of the gentlest, most tender records you’ll ever hear; just two entwined voices, exquisite acoustic guitar and a very occasional harmonium. Oh, and sounds from nature; bird calls, falling leaves, blowing wind and natural reverb are all present, underlining the organic creation of Thousands songs and their surreal, nature-focused lyrics. Thousands came to Bella Union’s attention via Fleet Foxes’ guitarist Skye Skjelset, who is a friend of the pair, and the duo are both are long-standing members of Seattle’s heralded underground scene. 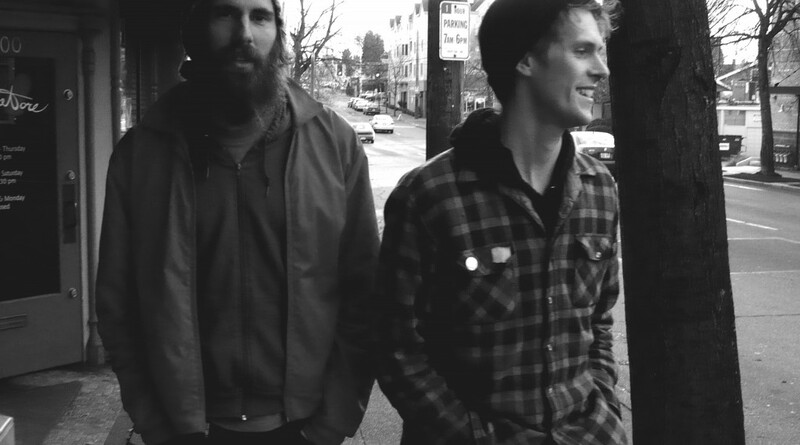 When the band’s initial home recordings didn’t feel right, Kristian and Luke decided “to travel around Oregon and Washington looking for interesting or inspiring places to record. To get away from the sterile sounds we were achieving at home, and to offer something with a real sense of place. We want people to listen to this with headphones on and feel like they’re immersed in these locations, and there’s us, sitting next to you, playing a song.” The field recordings led them across the Pacific Northwest; to Luke’s family’s cabin on the Oregon coast, the banks of the Columbia River, abandoned barns and old farmhouses. At times the music of Thousands echoes Fleet Foxes’ hymnal beauty. But the overriding feel shares some of the hushed simplicity of Elliott Smith and Simon and Garfunkel, fused to the finger-picking dexterity of John Fahey and Bert Jansch. But don’t let the simplest of acoustic formats hide the deep well of emotion inside. “The Sound Of Everything” is all about the human voice and heartbeat, the purity of sound, capturing a specific place at an exact moment; in other words, the sound of everything that matters.